Confetti and Streamer shooters are the latest craze at Weddings and Special Events. They fire a pre determined amount safely over a dance floor or audience creating an amazing effect. 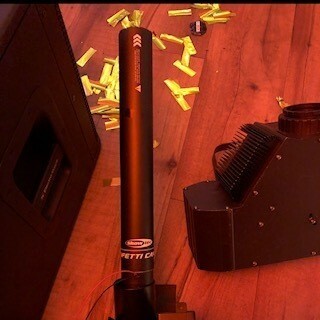 FX Shot is an easy-to-use electric confetti shooter. 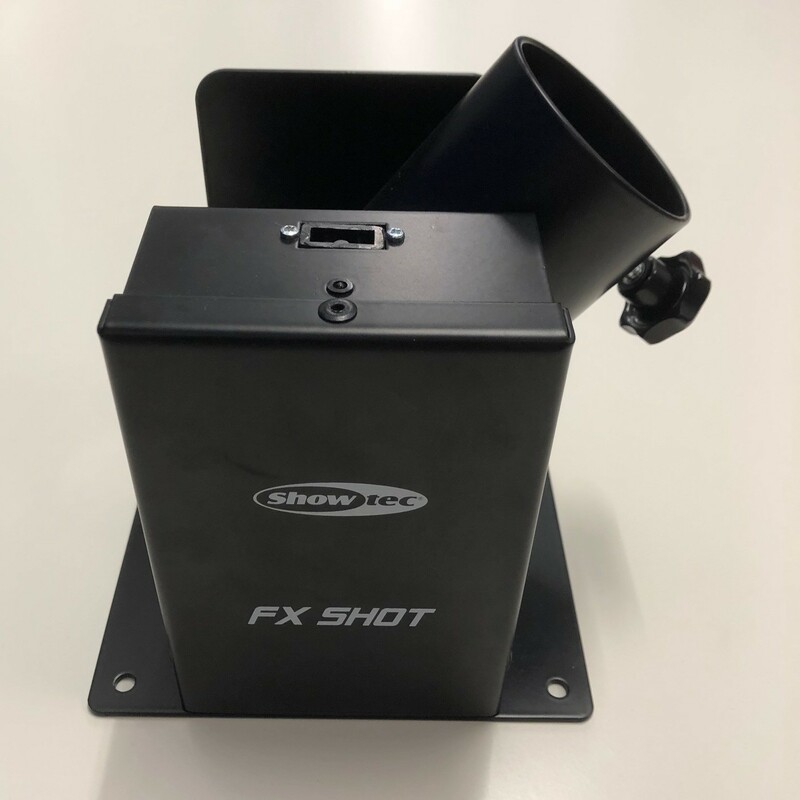 They are designed to fire prefilled single use electric cannons, which are available in 50cm and 80cm. 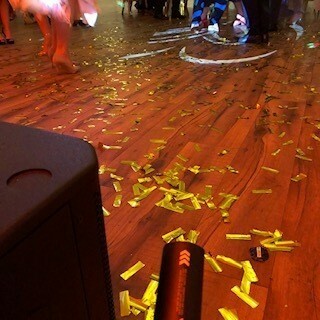 Confetti or streamers in various colours, even fluor UV and metallic colours are an option. 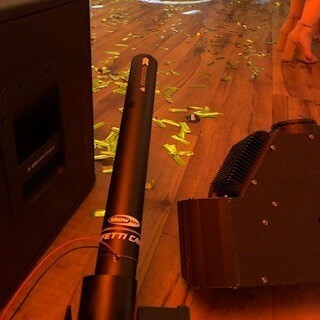 The cannons contain a pressurized nitrogen cartridge which launches confetti up to 12 meters and streamers even 20 meters wide. Prices From £20. You can hire and do it yourself or we can come and do it for you.